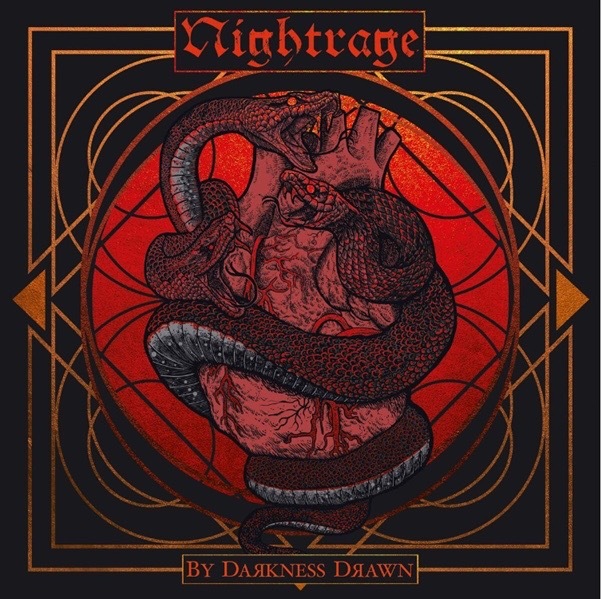 With ”By Darkness Drawn” the band wanted to combine their trademark Nightrage guitar melodies with a straightforward thrash metal drive clashing straight into groovy yet hooking chorus. A straightforward Nightrage song so to say. The lyrics for this song pretty much sum up the concept and theme of the album and it addresses the fact that we are all doomed and we know it. Unable to learn from our mistakes we are all now standing at the edge of our abysm, paralyzed by fear of our inevitable leap towards our own extinction. The lyrics on the band’s previous album, The Venomous were all about our journey towards our end. “My Darkness Dawn” is about being there right now, and just having to accept that as a fact. 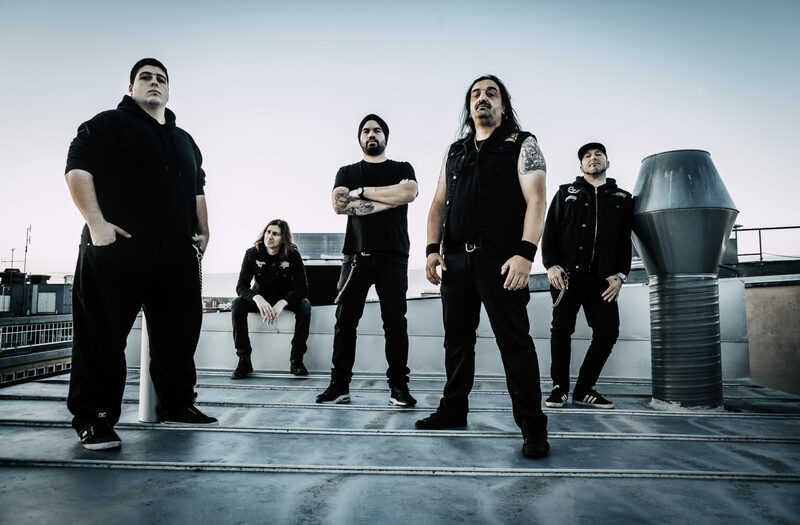 “The second we were done in the studio recording the new Wolf to Man album, we stepped straight in to the tour bus to go on an European tour supporting the legendary Voivod on their 35 year anniversary tour,” says Nightrage mainman Marios Iliopoulos. “Those guys are true legends and it was such an honor and pleasure for us to play together and getting to know this amazing guys. So when it was time to record the new video ‘By Darkness Drawn’, we wanted to portray that feeling we kept from the tour, and have this old school approach to it all. So we decided to shoot the video in our private rehearsal studio.